Above Ground on the London Underground: Day 8 Dear Mum, Did we like the deer at Richmond Park? 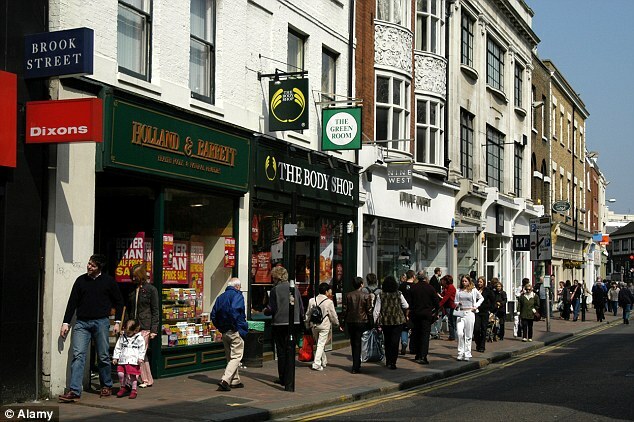 I’m taking a virtual walking tour ‘above ground’ on the London Underground. Using my Tube guide and my fitbit® device, my goal is to walk at least 10,000 steps a day roughly following along the Underground route, reporting back here on Fridays with my findings. I'm currently following the Piccadilly Line. This is Day Eight. Last week I found the house where I was born in Richmond, about a dozen miles from London’s city center. While I wanted to see inside, to pinpoint the very spot in my parent’s bedroom where I came into the world, I realized, even in this virtual little tale, that asking the current residents to let me in would be an invasion of privacy. So I walk away, peering into everyone’s windows as I pass, nosy, curious to see how they live. Do you do that too? I’m terrible as I take my real walks here in Los Angeles, peering sideways through my sunglasses, trying not to obviously crane my neck just to get a look at the books on my neighbor’s shelves, the bric a brac they choose to display. Some folks love to leave entire rooms on display, curtains flung wide open even at the end of the day when the lights are on, turning a spotlight on their interiors like their front room is the set of a Broadway play. A pair of children sitting on the sofa watching Cars 2 on a huge flatscreen. A woman visible in the kitchen window, still in her work clothes, the navy suit of a mid-level executive, standing at the stove, stirring a pot. What’s their story, I wonder. Today, in Richmond, it’s still early in the day and the windows are either covered or stare back at me like mirrors, mocking my desire to see inside. I can’t get no satisfaction so I move on. Soon I’ll have to get back to the Picadilly Line, to rejoin my initial mission of walking Above Ground on the London Underground but while I’m here, I might as well have a look around. 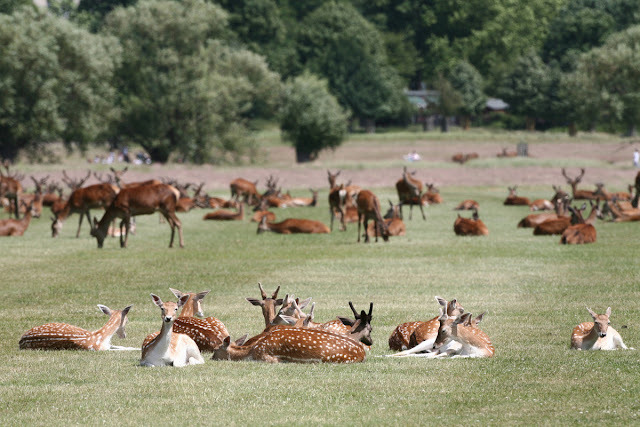 It’s too early for lunch so I head to Richmond Park where my mother took us, when we were very young, to see the deer. It’s just over a mile by the shortest route, an almost half hour walk which would have been nothing for my mum. She used to brag that she walked all over London when she was young, running home after working as a clippie on the double decker buses during WWII, running to beat the bombs during the blitz, running to beat the curfew, running to meet a boyfriend, one of them an American soldier her brother called “Gummy.” A short half hour walk, pushing a pram, would have been nothing for her, she’d welcome the chance to put color in her cheeks and in ours. 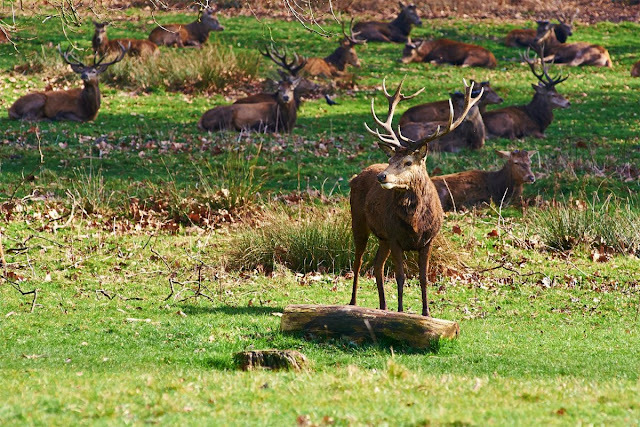 Richmond Park is over 2500 acres of gorgeous open parkland and as a National Nature Reserve, home to hundreds of free-roaming deer. The park dates back to the 13th century, but it was Charles the 1st who introduced the deer to the park. He made Richmond Palace his home in 1625 to escape the plague, making it a hunting park, filling it with deer, enclosing the area with a wall a dozen years later, much to the fury of the local folk. I wonder if our mum stayed clear of the park during rutting season (September—October) and the birthing season (May—July) when the deer would be more likely to be rambunctious? She’s not with us anymore but knowing how much she loved the fresh air I don’t know how she could have stayed away. On the other hand, I know my mother’s blood roiled with the same fiercely protective maternal genes that mine does. Chances are she would have kept her distance just to be sure. I wish I could remember my first deer sighting, but like the sheets on my parents’ bed, the image of my dad boiling water, smoking anxiously in the stairway, it’s all just a story from my family history. Dear Mum; did you know not to feed the deer? Did you stand close or watch from very far away? Was I afraid, Mum? Did I cry like I did when you took Russell and me to see the pigeons in Trafalgar Square and I cowered behind his legs when the pigeons tried to land on our arms and heads? Did I cry? Child-free (my one and only is grown and at 22 far too big to fit in a pram anyway) I meander down the paths, stunned at sight of animal royalty so close at hand. 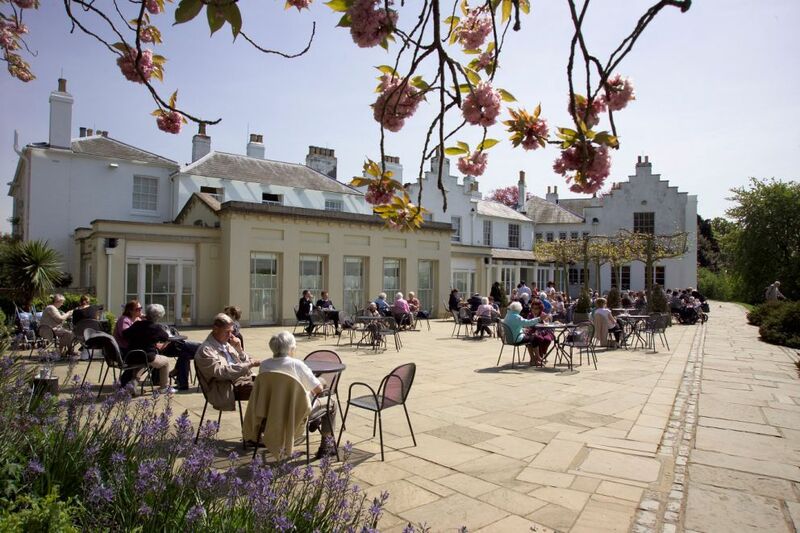 If that proximity is too close for you you can always take refuge at the beautiful Pembroke Lodge, located at the highest spot in the park—on a clear day you can see St. Paul’s Cathedral a dozen miles away—where the Georgian estate has been transformed into a beautiful tearoom complete with patio and telescope. I’ve been lax about keeping you updated on my pretend Fitbit steps, my daily goal being 10,000 steps or just over 4 mile a day (as measured by my height and my walking stance). The park is just under a mile and a half from my birthplace. Figure a good mile and a half walking around the park, and then the mile and a half back to my starting point. While the truth is if I were really there I’d have to expend some footsteps finding restaurants and a hotel for the night, that should keep the walking cops satisfied. Thanks for joining me on my make believe journey. Cheers! What a wonderful memory. 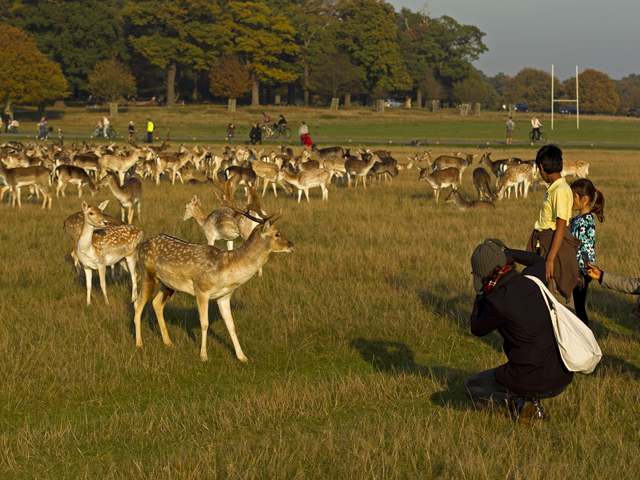 I was just looking at Richmond Park since I'm thinking of staying in Kew or Richmond for the first few nights of our next trip. Joy, that sounds like a great way to reenergize! When are you going?